James Herbert Brockett (14 March 1892 – 24 February 1945), was an American pilot who made the first overnight transcontinental air mail delivery. Brockett’s adoptive parents, the Knights, gave him his last name that he would take into the annuals of aviation history. Jack Knight was a close friend of my father, W. Dillard “Pic” Walker and my mentor, Captain Ralph S. Johnson. Jack Knight used to play poker in my parents basement game room in Cheyenne, Wyoming. Ralph and Jack knew each other when Ralph was Chief Test Pilot for United. 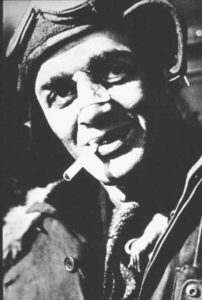 Jack was a senior pilot there until his untimely death in 1945 due to a pulmonary condition that developed into pneumonia. Some records indicate it was malaria that killed this great aviator, but my father and Ralph remembered it was pneumonia. Jack Knight had played poker in our basement just days prior to his having Gone West. Jack Knight was part of a relay team that flew 2,629 miles across the country on February 22–23, 1921. Knight was a member of First Christian Church in Omaha, Nebraska, where he sang in the choir. Knight served in World War I as a pilot instructor at Ellington Field in Houston, Texas and was discharged with the rank of first lieutenant in 1919. After the war, Knight took a job as an airmail pilot. The U.S. transcontinental mail route began operating in September 1920. But, since pilots did not fly after dark, the mail was transferred to a railcar to travel during the night. At dawn, a waiting plane would take the mail sacks and fly on. However, newly elected president, Warren Harding, and some Congressmen began to talk openly about ending Federal airmail subsidies. Questions of safety of flying the mail were not without merit. In the prior three years 17 airmail service pilots had died in crashes traced to mechanical or weather-related causes. Airmail pilots at the time virtually flew by the seat of their pants. Their instrument panel included a magnetic compass which was affected by everything metal on the plane and oscillated from north to south in rough weather. They also flew low – peering over the side of their planes to navigate – skimming rivers, railroad tracks and towns. Consequently, Postmaster General Burleson devised a plan to demonstrate airmail’s potential. 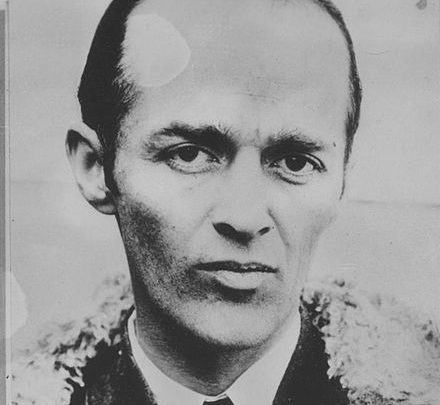 He would have mail flown across the country completely by air, without using the railroad, in order to reduce transit time, and chose February 22, 1921, for the all-air cross-country test. This flight would not be an easy task for the pilots flying in unprotected cockpits as it would be difficult for pilots to find visual landmarks at night. On the morning of February 22, 1921, two mail planes left Hazelhurst Field, Long Island, New York, heading west, while two other planes left Marina Field, San Francisco, California flying east. Relay planes waited at the regularly scheduled stops in between. 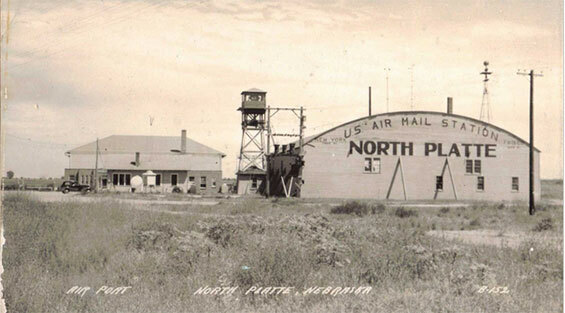 James H. “Jack” Knight was waiting in North Platte, Nebraska, to continue the west-bound leg. Sporting a broken nose, bruises, and the effects of a concussion he had suffered three weeks earlier when his de Havilland DH-4B mail plane crashed into a snow-covered peak in Wyoming’s Laramie Mountains, Knight looked a sorry sight. After fixing the tailskid on the DH-4, which was cracked by fellow pilot Frank Yeager after flying the Cheyenne, Wyoming to North Platte leg, Knight left for Omaha after 10:00 pm not knowing that the relief pilot scheduled to meet him in Omaha was stuck in a snowstorm in Chicago. That same storm had also stopped the westbound pilots, whose mail was being loaded onto a train. Knight was unaware that he was the only pilot left flying and that the future of airmail could depend on him. Knight left North Platte and began eastward to Omaha, Nebraska. Through the cold night he was able to see signal fires lit by post office employees, airfield managers, and even local farmers. Landing at Omaha after 1:00 AM on the 22nd, Knight learned that he was the only pilot still flying, as the east bound leg had also been grounded by the snowstorm. 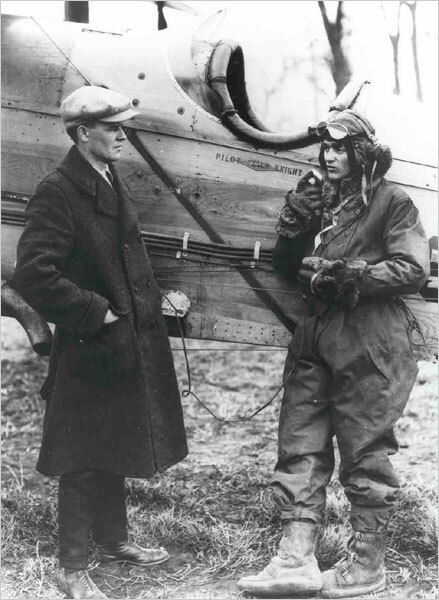 However, after warming himself, Knight chose to continue the flight, despite the threatening storm and the fact that he had never flown east of Omaha, and took off an hour later. Following more fires and other landmarks across Iowa, Knight flew the next leg through Des Moines, Iowa, where snow prevented a landing, and then another 120 miles to Iowa City. Knight finally set down in Iowa City, to rest and warm himself before taking off again at 6:30 a.m. for the final 200 miles to Chicago. At 8:40 a.m., Knight reached Chicago Checkerboard Field. His all-night flight had covered 830 miles and he had found his way using a basic compass and a small, torn section of road map. Knight admitted later that he had broken his nose a few days earlier and the frozen wind and bumpy air were especially brutal. Newspaper reporters were waiting for Knight in Chicago, and his flight made front-page headlines nationwide. Jack Knight, broken nose and smile the day after his magnificent 1921 flight! Though Knight was a hero, the feat was a team victory as two other pilots continued on to New York. All together, seven pilots had taken part in the transcontinental flight, taking 33 hours 20 minutes to fly 2,629 miles (3,652 kilometers). Only 26 hours of that time had been spent in the air. Impressed by the feat and by the wide public acclaim, Congress at last appropriated the needed funds for the beleaguered mail service. After becoming a household name, Knight worked with the Postal Service and local civic leaders to set up a system of navigational beacons and emergency landing strips. 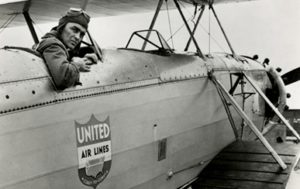 Knight continued to fly airmail, even after the system was contracted out in 1925, ending up with National Air Transport Inc which became United Airlines. Knight continued with United, eventually DC-3 flying passenger flights and later becoming a vice president of the company. Knight died on 24 February 1945 in Chicago, after contracting malaria during a South American business trip while working with the Defense Supply Corps, to set up a reliable transportation route to the United States for native rubber. The leather jacket worn by Knight on his famous flight that dark night in 1921 was kept by my father until the mid 1970s. He gave it to me. I tried to donate it to the Smithsonian Air & Space Museum in Washington. They turned it down due to some tears that had been sewn up. I gave the jacket to my friend Dan Todd then a VP with my airline, the historic old Frontier Airlines (1946 – 1986). Dan presented this famous relic to the City of North Platte, Nebraska. North Platte established a beautiful shrine-line display in the Lee-Bird Field Terminal where it attracts the passers-by yet today.